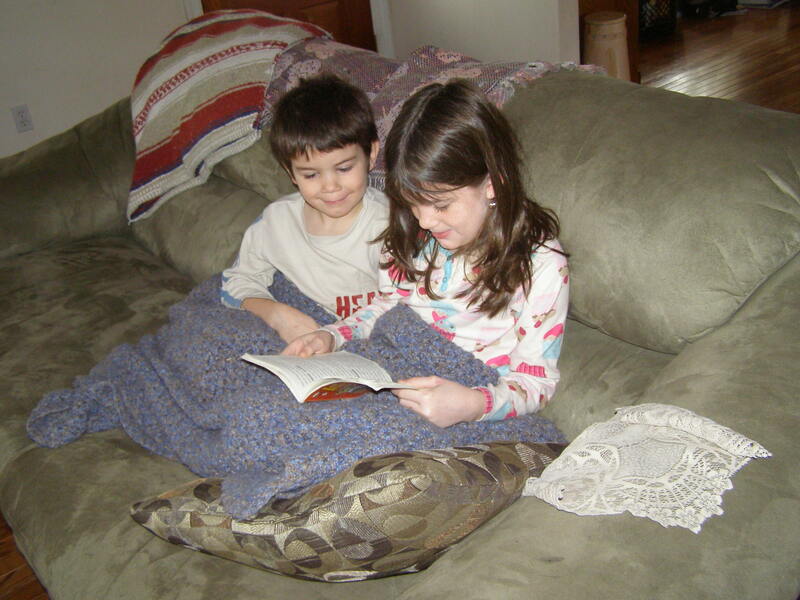 The Struggling Reader, Part 2 | Homeschool Supermom…NOT! I remember trying to teach my first child how to read. 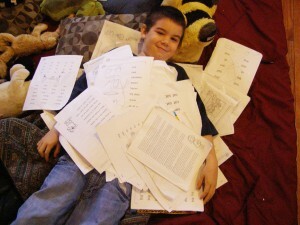 The experts at his kindergarten believed he was dyslexic and wanted to put him in a special ed class. In rebellion, my husband and I brought him home, and I became his teacher. It was a nightmare. I had no idea what I was doing, but reading is my passion!…how hard could it be to pass this passion on to my son. I will admit it was one of the most difficult things I’ve done! Childbirth was easier. Teaching him to read was like childbirth…but a 5 year childbirth. That’s how long it took before it “clicked” for this son. But from kindergarten through fourth grade, I experienced horrible labor with this one, intense contractions that hurt like crazy and seemed to accomplish nothing. Yep, childbirth was easier. In celebration, Caleb destroys and wallows in his level 1 phonics book once it was completed. But phonemic awareness? What on earth is that? Of course I had to know. “Okay, Bill, what exactly is phonemic awareness? Okay, so I’m obviously not a rocket scientist, and this sounded suspiciously like phonics to me. Dr Bill reassured me they are two very different things. Remember, phonemic awareness precedes print. Before your child recognizes letters and words on the printed page, he has to be able to hear the different sounds. At this point the proverbial light bulbs were literally blazing in my brain. Phonemic awareness. The ability to hear and distinguish the sounds of our language AND manipulate them in our minds… If your child can’t pass these seemingly simple audio/oral tests, he will struggle. The good news is that phonemic awareness is something that can be/should be taught, even before you teach reading. Now, I know you and I are a lot alike, and you’re wondering, “Fine, how do I teach phonemic awareness?” That’s where Dr Bill comes in. When this astounding research was released, Dr Bill realized there was no curriculum out there to teach this concept. Not one to be deterred by something as simple as a lack of curriculum, Dr Bill proceeded to develop his own phonemic awareness curriculum. He used this curriculum in his college classes, teaching those future teachers how to implement phonemic awareness training in the classroom. Older brother Ben reading to his younger siblings. Somewhere around this time, Dr Bill fell in love, got married and started a family. He and his wife made the decision to homeschool their boys and they quickly got involved in local homeschool groups and co-ops. 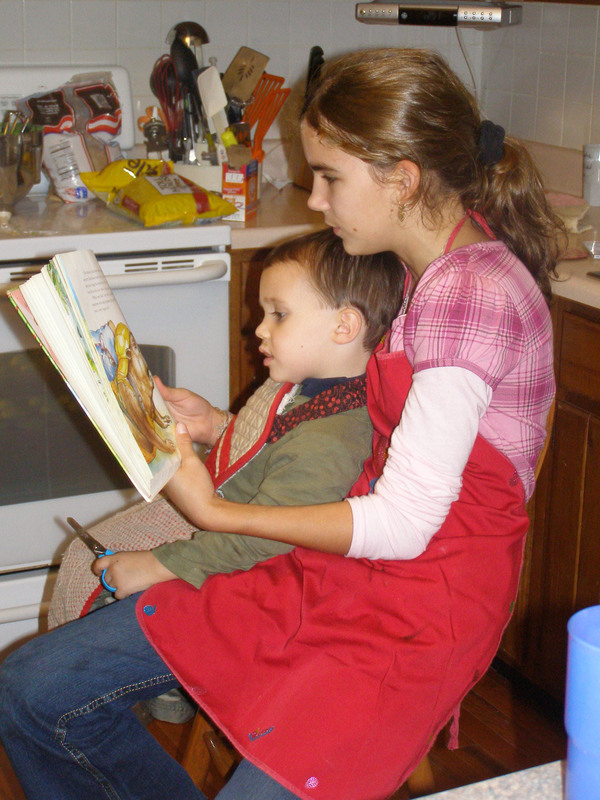 It wasn’t long before word got out that there were not one, but two reading specialists in the homeschool group….and people started seeking them out. Both Bill and Kristen have a deep love for the homeschool community and found their hearts going out to these hurting moms and struggling students. They began to mull it over. 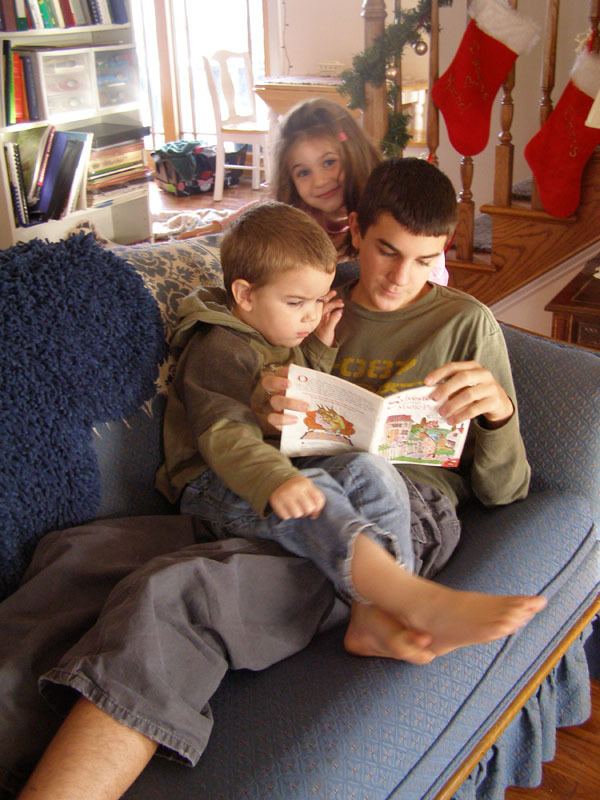 Was it possible to take his college course and develop it into an easy-to-use curriculum that would turn any mom into a reading specialist in just 20 minutes?…and thus was born The Struggling Reader. I’ll leave you at this point to do your happy dance. Yes, this is an answer to prayer. Yes, it does help. Yes, it is successful. I’m looking forward to telling you more about it in my next post. In the meantime, enjoy your happy dance! This entry was posted in Curriculum Reviews, Encouragement, How to Homeschool, Interview, Uncategorized and tagged don't give up, Interview, teaching reading, why homeschool by Susie Kemmerer. Bookmark the permalink.